introducing the 752SKT Bariatric APU® Orthosis. 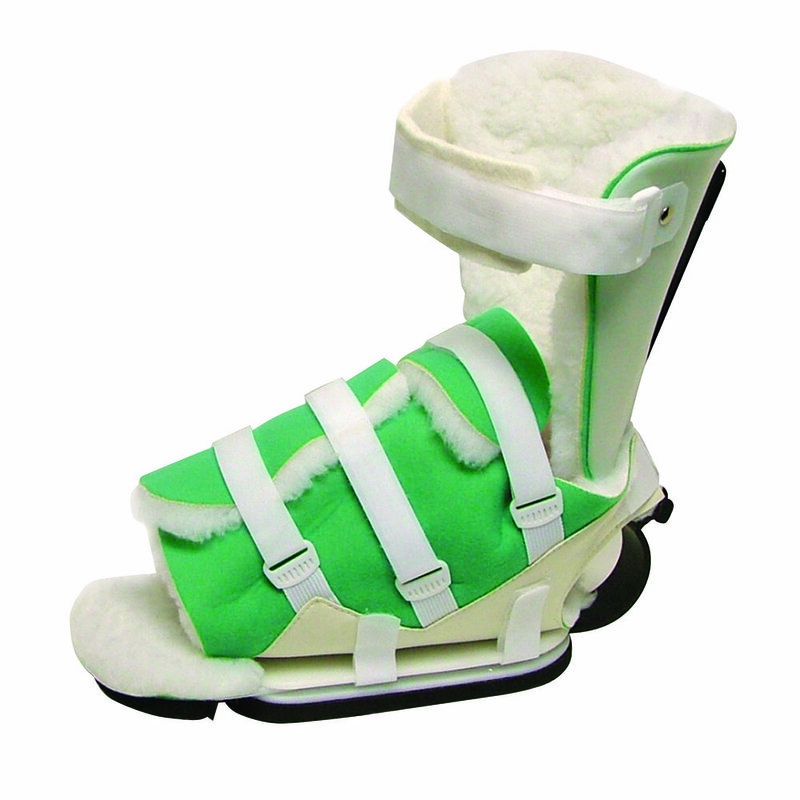 This AFO was designed to accommodate your larger patients up to 136 Kg in weight. The Bariatric APU® Orthosis can be used with the ambulatory patient as well as the recumbent patient and offers the same functionality as the standard APU® (Adjustable Posterior Upright) Orthosis by utilising the heavy duty APU® joint. The 752SKT APU® Articulating Ankle/Foot Orthosis is an Adjustable Posterior Upright design that provides the clinician a more precise and simplified method of setting the ankle/foot complex in the sagittal plane. The posterior approach requires controlling one upright joint, which lessens the chances of mechanical failure while also eliminating any pressure to the medial/lateral aspects of the malleoli that can often be seen with two joint systems. The APU® Orthosis is also available for the inclusion in custom made thermoplastic AFO® and KAFO systems. NOTE: The posterior ankle strap is shown inside theupright in the adjacent photos. When fitted properly, the strap is outside the posterior upright bar. Ambulatory bariatric patient as well as the recumbent bariatric patient. 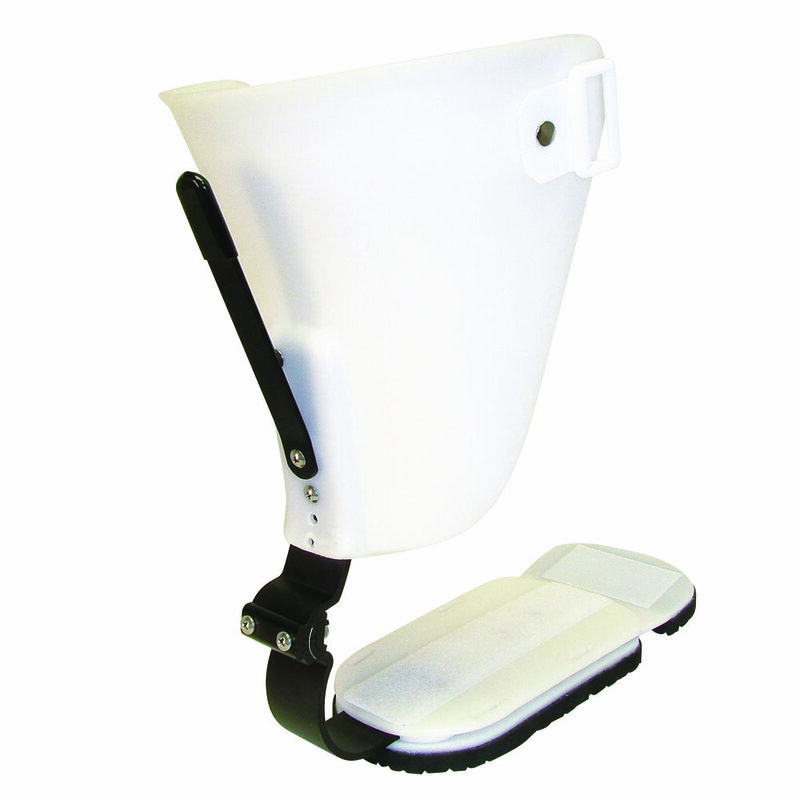 The adjustable calf strap extends from 21" to 32"
The Kodel® liner will fit across a dorsum measurement up to 23"